The best ideas emerge in an inspiring environment. 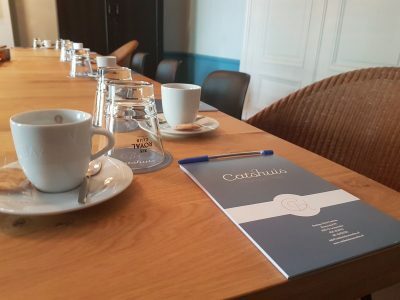 Boutique Hotel Catshuis is such a location where you can organize an effective meeting or team outing. Are you looking for a special meeting location in the center of Leeuwarden, with many possibilities for a customized business meeting? 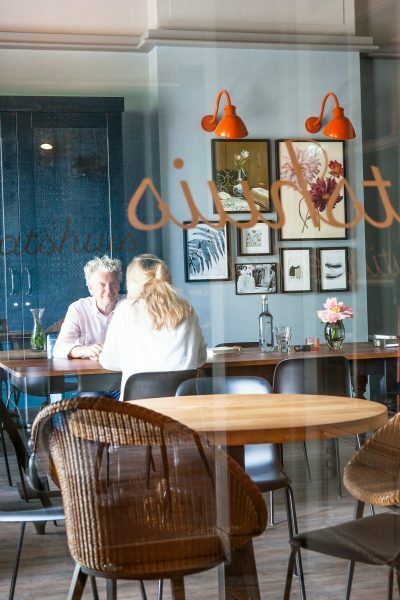 Boutique Hotel Catshuis is exactly what you are looking for!! 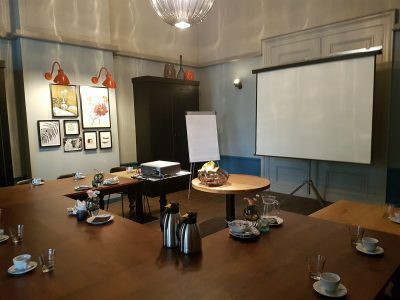 A company training, conference or meeting is only successful if the organization and ambiance around it are also in order. And that is a certainty at Boutique Hotel Catshuis. A monumental building has a certain charm which you will notice upon entering. The stylish decor of the iridescent halls is complemented with marble floors and the ornaments. 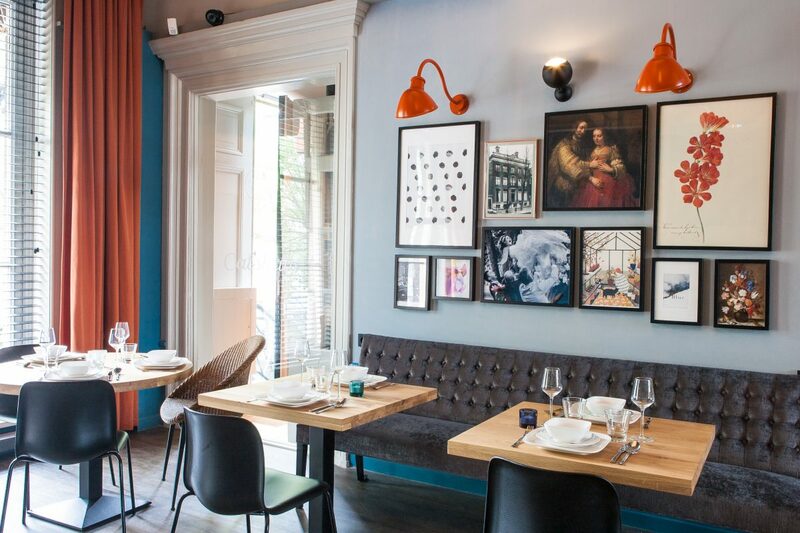 Yet there is an informal and warm atmosphere, so you quickly feel at ease. The rooms are equipped with high windows, so there is a lot of light and you have a view of the lively shopping streets of Leeuwarden. There is a wide array of possibilities we can employ for you in order to have you conduct your meeting exactly to your preferences. We can accommodate a company of any size. 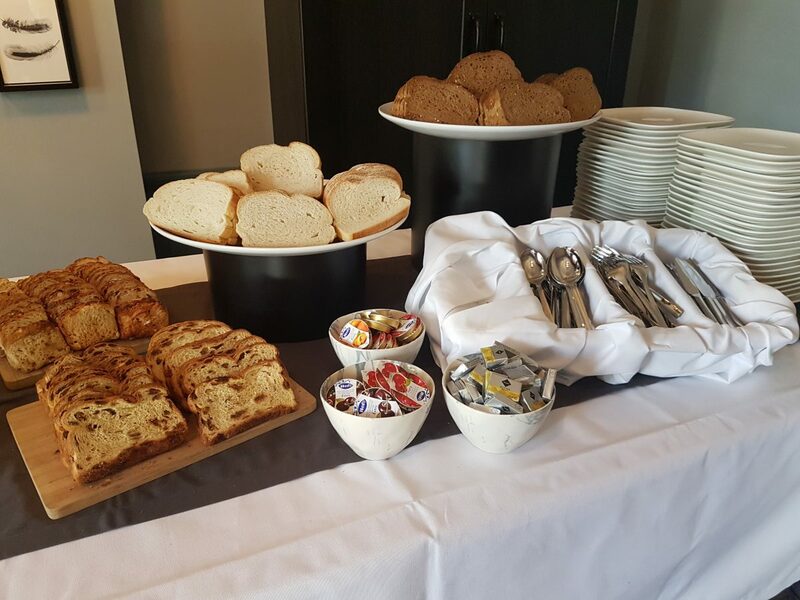 Here, customization is possible in the field of decoration and catering, but also the serving of snacks with drinks within a specific theme of your meeting. A lunch or dinner buffet can also be enjoyed in one of the other atmospheric rooms, if so desired. We always take the different seasons into account with the preparation of dishes. Team building is also included in the services we offer; there are many activities in Leeuwarden from which team spirit may benefit. Another possibility of a business meeting is a company party. It is the ideal opportunity to relax with colleagues and enjoy the conviviality and, of course, good music. 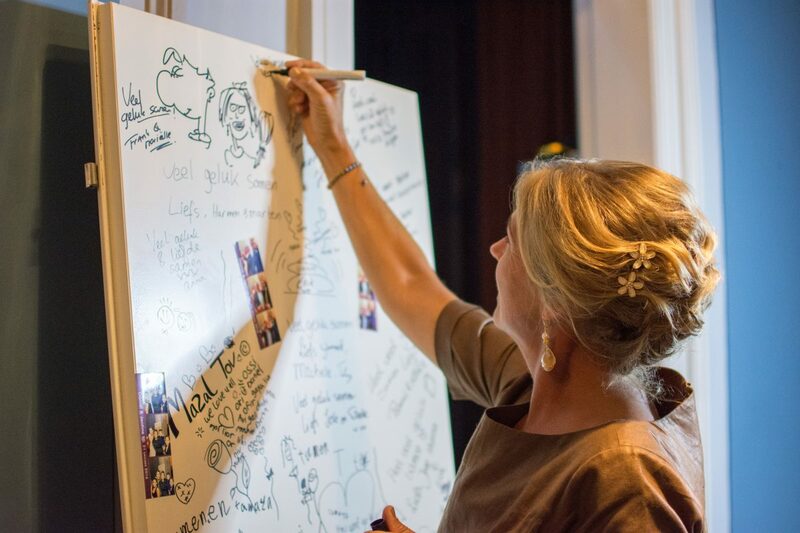 Boutique Hotel Catshuis has several rooms in different styles so your company party will certainly be a success! Would you like to know more? View the page about parties. Interested in learning more about the possibilities of business meetings at Boutique Hotel Catshuis? Then feel free to contact us and mention your wishes and budget, so that we can send you a suitable offer.